What is a Reboot anyway? The FBI has warned of a new malware that has been found to infect the device that shares the internet throughout your home or office. By the way they want you to "reboot" it ASAP!! REBOOT definition, turn off the power to the device, wait a bit, turn the power back on. Easy Instructions; UNPLUG your router's power, wait a bit, plug back in after all the lights have turned off. If your router is not on this list, please reboot anyway. It won't hurt anything and you will learn the most valuable skill that this tech blogger has ever used in the wild for solving a wide range of issues. RTGit will be hosting a free live event June 14, 2017 9am and we would like to invite you to attend! This livestream will be broadcast from Google’s California HQ and take a deeper look at the evolving “local” landscape of online search. We’ll talk about how this shift will impact businesses, and we’ll share some Google tools that can help your business stay ahead of the curve. This event is brought to you by Ready To Go Information Technologies and Partners Connect in collaboration with Google’s Get Your Business Online team, We hope to see you there! Small businesses like yours are the growth engine of the US economy, creating 2 out of every 3 net new jobs To support small businesses RTGit is hosting a National Small business event here in San Clemente! This is a free event making it easier for you to get your small business online and connect with more customers. Come in and get a free Google backpack, sign up here! What if you could let your customers walk into your store, look around and see if there was anything they wanted, right from the comfort of their computer or mobile device? This is what virtual reality can do for you. Selling a home? Let a potential buyer do a walkthrough at 3am without waking you up. VR can let a seller set up that walkthrough and share an immersive 360 degree video of the location in a click. Need a photo set for insurance purposes? With virtual reality you can be found in maps and with Google cardboard you can literally be inside of a space. 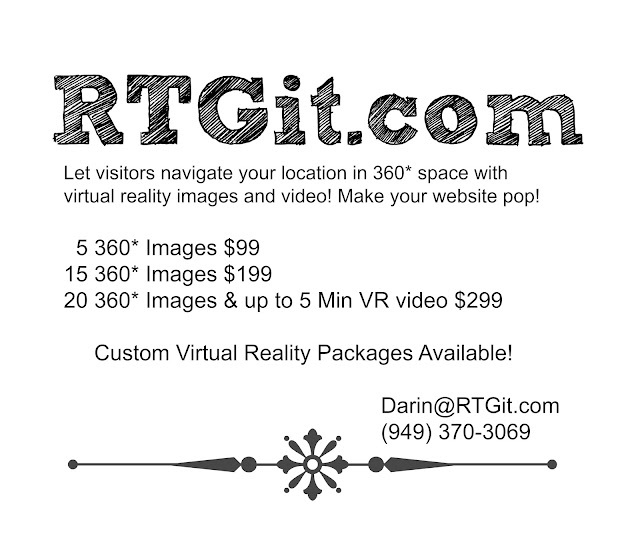 If you are looking for a virtual reality photographer in the Orange County area please contact us today! 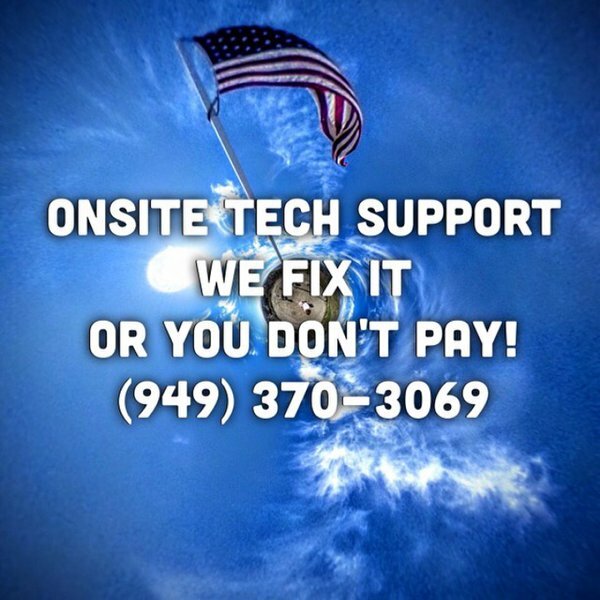 Call Now For 1 Free Photosphere of your San Clemente location! Finding relevant, timely and high quality content to share on a daily basis takes time and an eye for what is going to resonant with your community. Providing this material builds your reputation as a resource in your niche. Curating a strong social streams keeps you educated on trends in your industry, feeds your creativity and connects you to your audience. Here is a sample of places to source for recent, relevant and local material to share to your social networks. Klout.com is a website and mobile app which uses social media analytics to rank users according to their social media influence. Recently Klout added a new feature which suggests trending posts. Sign in and click on "Create" to find a list of recommended posts. Add the topics you wish to explore. Posts are labeled "Hot Off the Press," "Trending" or "Hidden Gem" if less than 9% of your audience is likely to have seen the link. Tap into the lexicon of your audience keep abreast of those alerts to find the most current and relevant articles to share. These results will then be delivered to an email of your choice. You may want to set up some rules in your email box to optimize your email experience. Twitter, Facebook, Google Plus, StumbleUpon as these social media sites have adopted the #Hashtag. Take a few moments to visit each and perform a quick search of your keywords to see if any newsworthy material rises to the surface. Always include a peek at the Trending Topics to see if any are relevant to your market. When you have a free account with bitly you not only have the priviledge of using their link shortening service but you also have access to click through rates to top content from your networks. This gives you a great vetting tool for finding content which has a higher click through rate. Click on "Your Network" and see the bitly stats for links your network has saved. Find what's trending at Digg.com. Articles and Videos are sorted by the amount of times they have received "thumbs up" or dugg in terms of the social media bookmarking site. Signing up for the Digg Reader allows you access to categories within Digg. Google News sources from different news sources world wide. You can subscribe to various news groupings or enter searches of your own. Google News gives you the opportunity to adjust your news sources and to personalize your Google News page. What are your favorite curation tools and techniques? 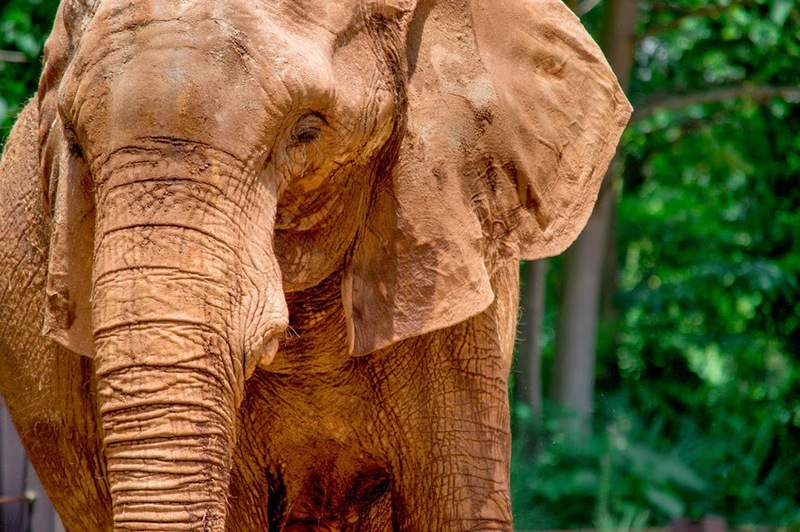 Why Google Plus is Like An Elephant? Why is Google Plus like an elephant you ask? Do you remember the story about the blind man and the elephant? Each person was asked to describe their experience of the elephant without seeing the whole. Some described the ears, some the tail, some the trunk and others the legs and body. Google Plus is so many things that many people do not fully understand all that it is capable of and all that it has to offer. Google Plus pages come in a few different shapes and sizes. To be on Google Plus you must initially have an individual page. 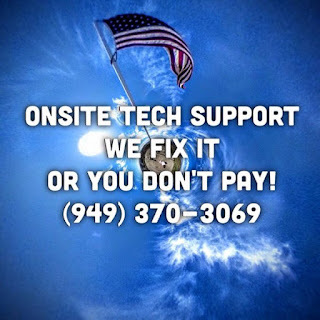 From your individual page you can create and manage mulitple pages for your business, for your non profit, a musical or theater group, for whatever you wish. Once a Google Plus Page is created the type of page can not be changed. 1. Individual Page - you must use your name, it is against the terms of agreement to use a nickname, again you must have an individual page first. Select Local Business or Place - if your business has a physical location and you want to show up in Google Maps this is the option for you. To receive all the functionality of this page, including reviews, you must have the listing verified either by a phone call or postcard. From your Google Plus page you are now ready to participate in the social network of Google Plus. All google plus posts rank in google search just like your website pages. When you post a link using the link field a "follow link" is created. "Follow links" improve search engine ranking and passing page rank. Google Plus Communities connect like minded people and are a great way to start building your community on Google Plus. Be sure to read the rules of engagement for each community your join. Cloud storage for your photos as well as unique photo enhancements called "aut oawesomes" which create animated gifs, stitch together panoramas from overlapping shots, and will consolidate group photos to create one with everyone smiling with their eyes open. Video conferencing and collaborate with 10-15 people depending on your account. Screen sharing, remote assistance, and collaborative viewing of youtube videos, google docs or desktop. Video broadcast up to ten participants to the internet privately or publically for unlimited viewers and publish straight to YouTube. Create your own events page. Share media and comments with your invited community and promote your events online. Use the provided images for the header or supply your own to create a branded or personalized touch to your event page. Get paid for your expertise by the minute. Find experts in any field. Some charge and some are free. So what part of the elephant would you like? 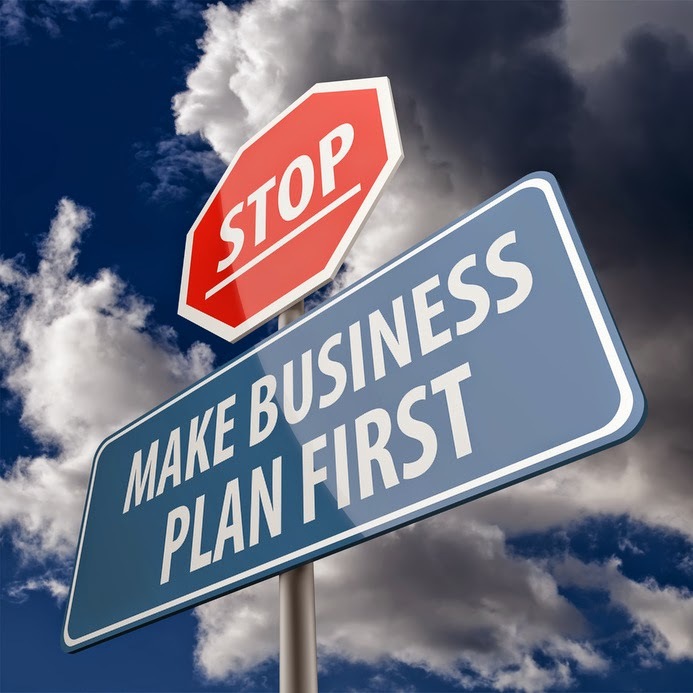 Your business plan is one of your greatest assets when designing your website. Don't do all that work and not encorporate your well thought out answers into your web marketing strategy. Mine that gold and build on your planning. Really knowing your customer is a vital component of successful marketing. Making assumptions and not doing adequate research can waste money and time invested into a marketing campaign. Learn not only the demographics of your customers, their age, location, gender, interests as well as their lexicon. In some industries and niches technical jargon is helpful and in others it is not. Search engine marketing has it's foundations in words and writing in the language of your customers is the most effective was to connect to them organically. What are the top problems or challenges of your customer? What are the most commonly googled questions concerning your product or service? Are you B2B (business to business) or do you sell directly to the customer? How do your customers describe your product or service? Know Yourself & Your Story. What makes you special? What makes you unique? You can't be everything to everybody. Find where you excell and focus there. Insure your web presence reflects you and the unique attributes of your business, your company culture, or the special contribution of your non profit. Stories make impact. Know your story and tell it in a compelling way, a way which can be retold easily. People are wired for stories, stories stick. 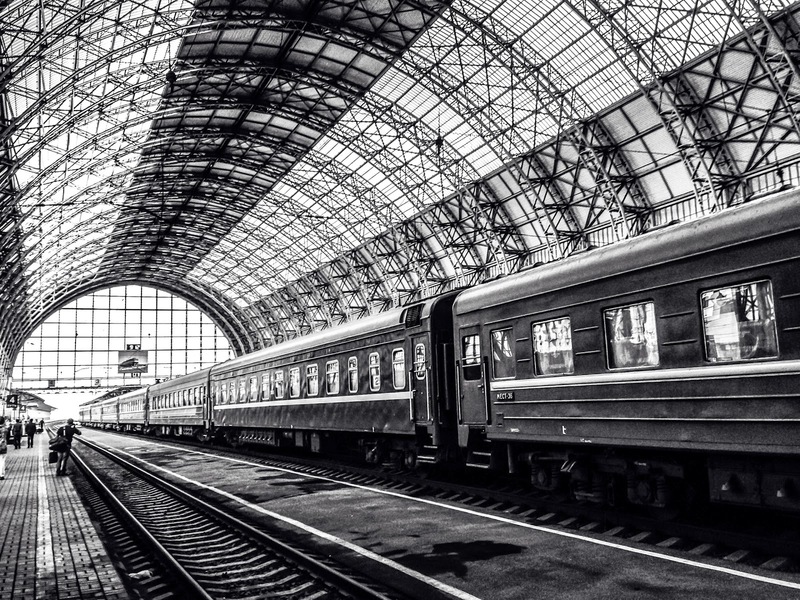 How can you tell your story in the language of your customer? Knowing your market is part of business. Staying on top of business trends and creating a service or product that meets the needs of your customers is the name of the game. We can learn a lot from our competition and complementary industries. How does your web presence compare? Do you have a method to monitor your competition? We employ the Hub and Spoke Marketing Model in our web marketing campaigns. Your website, along with your blog, is considered the hub of your campaign. It is the center of activity and where you direct visitors, where conversions occur and where you can access information on traffic and visitors. While you have points of contact on every spoke, ultimately your website is where everything is being directed. 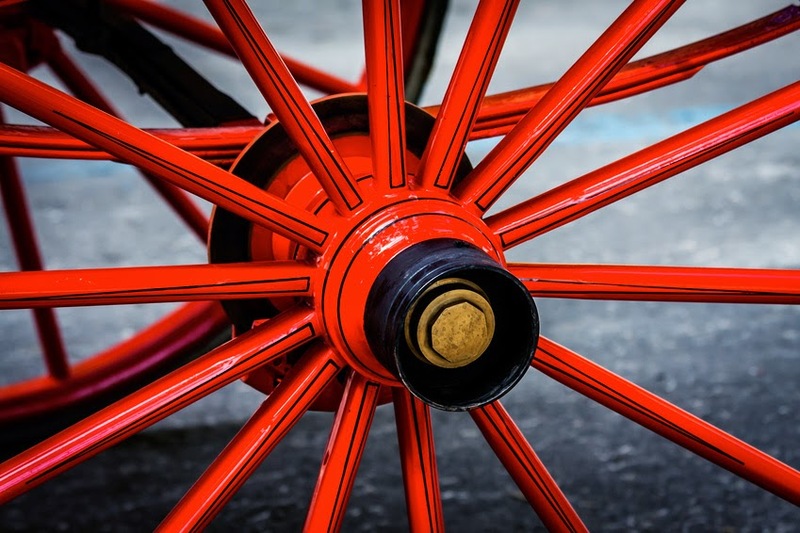 Spokes may include social media sites, email marketing campaings, pay per click campaigns, as well as mailings, newspaper and print ads, but they all point back to your website. It is your website that is truly and literally "your domain." Invest your time and energy in your domain where you have the creative control over the user experience. No one is going to change service terms or claim ownership of your material on your site. Your site, your rules. Your site, your analytics. Build on your own ground. This is where you convert, this is where you track your progress, this is where you invest your time on the web.